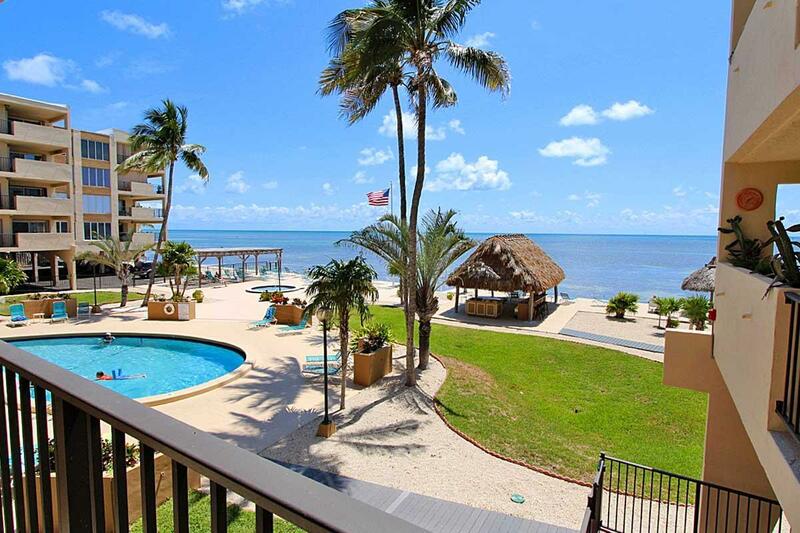 Oceanfront 2/2 condo with open ocean views and updated kitchen and baths in a great location in Downtown Islamorada. Relax on your ocean view porch (on the shady afternoon side) overlooking the pool and spa, or use the boat launch to enjoy kayaking or stand-up paddling. Hungry for a nice meal? 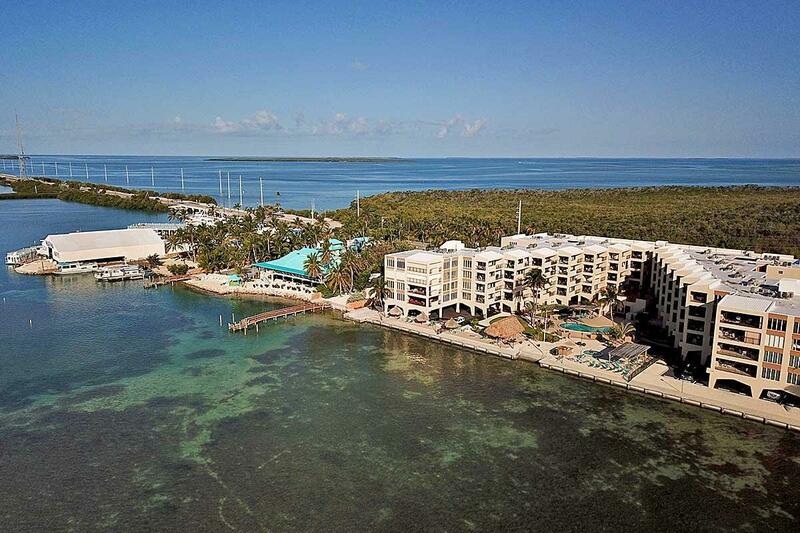 Lazy Days Islamorada and Amara Cay Resort's Reel Burger are both right next door, or there are endless dining options just a mile away in downtown Islamorada. Love to go diving, fishing or boating? Bud N' Mary's Marina is also next door! 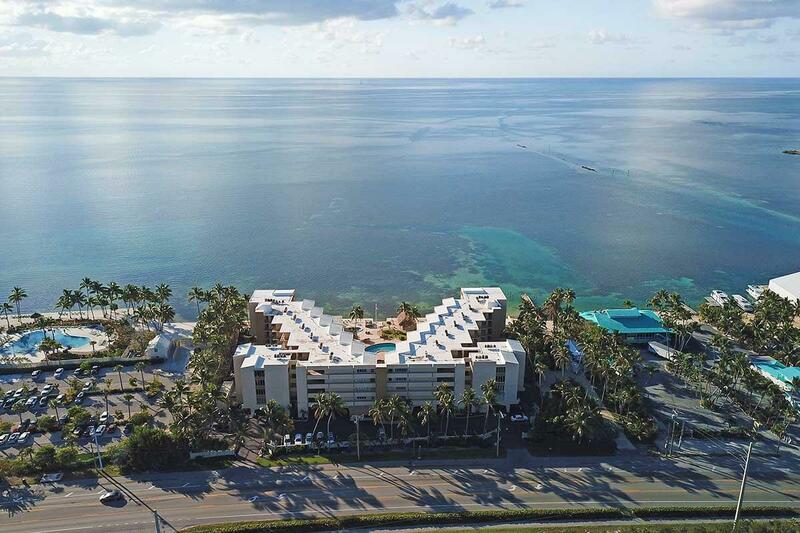 The Palms Condominium is also popular as a monthly vacation rental if you are interested in seasonal rental income. 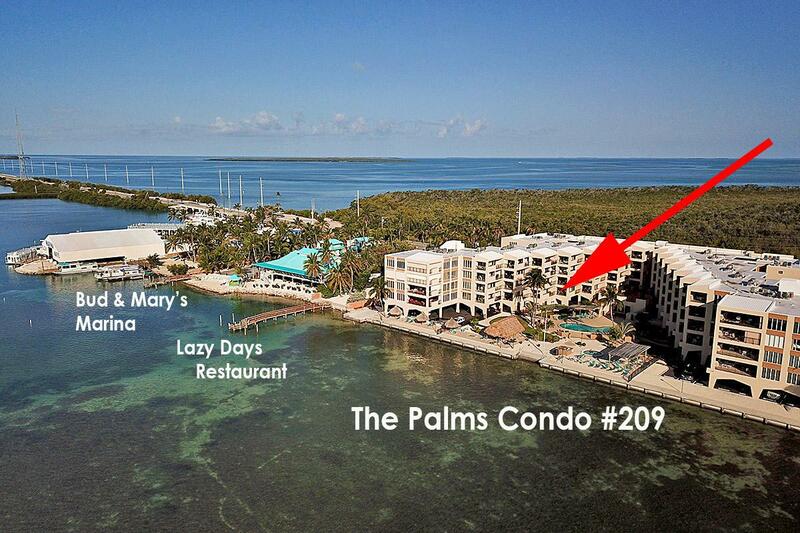 This really is THE location in Islamorada! Call today! Pets With Restrictions 1 Pet Under 20Lbs.